Alicia is a quiet, but sociable girl. She is quite at ease with other cats, but would like to go to a home without dogs. 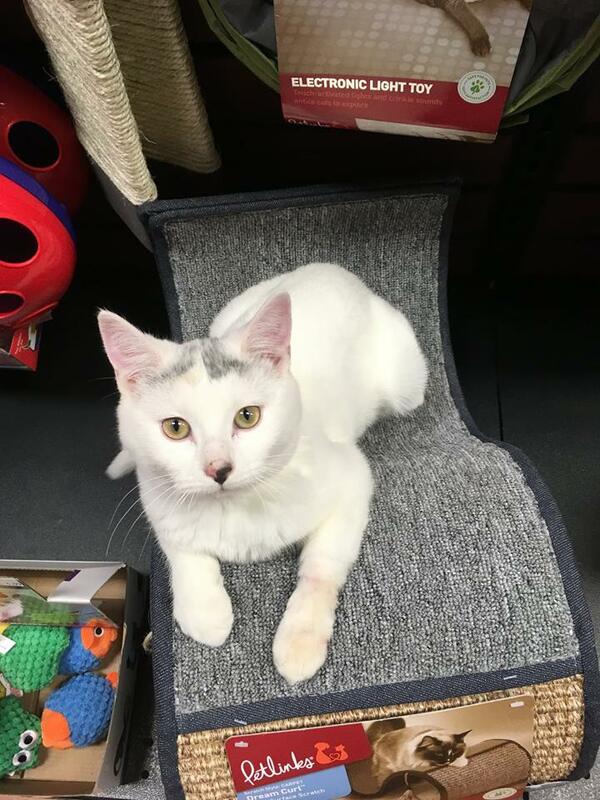 She is playful and confident, and loves the company of Skittles, the other Rescue cat at Pet Valu Taylor. Can you give this girl a forever home? If you would like to meet Alicia, you can visit her at our store location at 38 Barberry Road.